In this presentation, Dr. Gary Woodill will review past learning technologies, sketch his theory of innovation lifecycles, and place the various emerging learning technologies that he has identified on a lifecycle curve to show which ones are now peaking, which are maturing and even declining, and what is in the pipeline that will become available in the next five years. The purpose of the talk is to help both users and vendors gain a perspective on developing learning technologies, glimpse the near future of the learning industry, and make strategic investment decisions accordingly. The workshop will be facilitated by Dr. Gary Woodill, director of Research and analysis at Brandon Hall Research, who will present an approach to designing for mobile learning based on his latest research. The workshop will demonstrate a variety of instructional and self-directed approaches and will include opportunities to experience new approaches to mobile learning. Mobile Learning Comes of Age: How and Why Organizations are Moving to Learning on Mobile Devices, a $295 value. How to Design for the Live Online Classroom, a $245 value. If you are interested in how new technologies are being designed in order to adapt to a rapidly changing and complex world take a closer look at Stephen Downes excellent presentation delivered to MEFANET 2009 Conference, Brno, Czech Republic. Coggno Introduces Addition of Branded Diplomas Sent From Clients Learning Platforms. Coggno introduces a new feature set within their Learning Management platform to assist content creators in delivering learner’s diplomas upon completion. This new feature was created to provide documentation for the learners and verify their participation and completion of online training and education via Learning Management System for employment and higher education purposes. Coggno is pleased to implement such features into their system to aid learners in verifying completion of accredited courses from their Learning Management System. Such documentation will aid in confirmation for future employment or higher education. Based in San Jose, CA, Coggno is an LMS/LCMS toolkit and marketplace which facilitates the transfer of intellectual property between course creators and those who wish to acquire it. Coggno designs and delivers online solutions for e-learning, training, assessments, and courseware for organizations, corporations, associations, academic institutions, and subject matter experts. Take a look at this interesting line-up below. CALL FOR PAPERS: NEW LEARNING FOR A NEW SOCIETY. eLearning Papers is looking for contributions about tomorrow’s learning. Articles addressing topics such as learning trends, scenarios, new skills, efficiency and sustainability are especially welcomed. The submission closes on 14 December 2009. “DOLCETA – Online Consumer Education” is a European Commission initiative financed by DG SANCO (Directorate General for Health and Consumer Protection), aimed at developing a website on consumer issues with lots of educational material and interactive tools. PUBLIC CONSULTATION: "Green Paper on Promoting the Learning Mobility of Young People". The European Commission is calling upon all stakeholders, from governments to individuals, to support its efforts to make youth mobility the rule rather than the exception. While recognising that this is challenging objective in the current economic context, learning mobility is a key element in the overall strategy to equip Europe with the skills needed for the future. ONLINE EDUCA BERLIN 2009, 2-4 December 2009, Berlin (Germany). This year’s key theme is “Innovate, Share, Succeed”. Participants taking part in OEB will meet over 2,200 colleagues and like-minded people from more than 90 countries. Please take a moment to review this pertinent paper describes a mobile learning development and future trends of education, where mobile devices are used for educational activities. The main focus of this paper is to find out the problem of the incorporation of mobile learning into mainstream education and training. 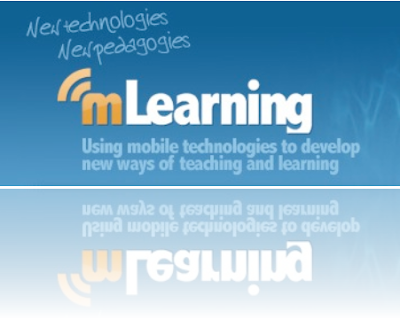 Find out the answer that how one can implement M-learning in mainstream education? The goal of this paper is to create flexible teaching solutions which will enable access to information using different devices, and support learning in a variety of situations. 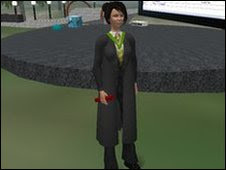 "Virtual graduation ceremony" for students on a distance learning course. Edinburgh University will broadcast the ceremony at its McEwan Halls on Thursday afternoon on to the Second Life web community. The move will ensure students on its E-Learning course who are unable to travel to Edinburgh do not miss out on the graduation celebrations. They will be able to download robes for their online avatars, and gather in a virtual bar after the ceremony. Second Life is an online 3D world where users can interact with each other through their avatars - graphic representations of themselves. Check out this new white paper authored by President of WebStudy Gisele Larose. The paper, “Student Retention at Community Colleges: Engaging a New Generation with Technology is Key to America’s Future,” asserts that student retention rates will play a key role in the future of our nation as we confront the challenges of globalization. Gisele provides a solution for community colleges looking to improve upon student engagement—and student retention rates—by weaving teaching and learning best practices with course management system (CMS) technology. Many experts propose, and Larose agrees, that “blended learning” —blending teaching and learning best practices with CMS technology in an interactively meaningful learning environment—will shift student engagement in a powerful way and make learning more independent, useful and sustainable. But the right CMS technology is a crucial part of the equation. WebStudy is a software as a service (SaaS) provider that develops ‘Learning’ course management systems (CMS) designed to enrich the learning process. Founded in 1997 by a professor/student collaboration, WebStudy’s in-class and online learning solutions ease technology adoption for educators, aid administrators in launching quality learning programs and demonstrate to accrediting bodies that an institution is committed to producing well-prepared students. As the only SaaS provider in the industry, WebStudy frees institutions from extended hardware implementations and its hidden costs, high failure rates, unacceptable risks, and protracted software implementation. New online course portal launched in United Kingdom. The education portal selling online courses that customers can purchase to learn at their leisure. XCourse is initially offering courses in Microsoft Office, Web Programming, Databases, Business and People Management, HR, Marketing, and Negotiation skills. Many more courses will be added in the coming weeks and months. Xcourse aims to make online learning as simple as booking a restaurant or ordering a pizza online. 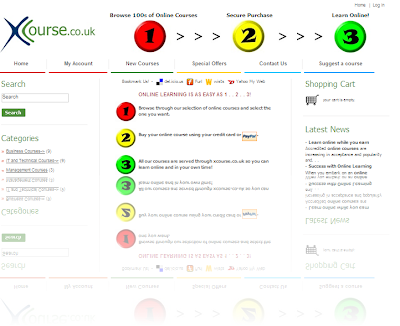 Visit xcourse.co.uk to browse courses you can complete online from the comfort of your own home.“Continual learning gives you a great advantage in the workplace.” said Mike, CEO of Xcourse. “By increasing your knowledge of management and other workplace skills you prepare yourself for success. According to a new report by Ambient Insight called, "The US Market for Self-paced eLearning Products and Services: 2009-2014 Forecast and Analysis." will The US market for Self-paced eLearning grow to $23.8 billion by 2014. 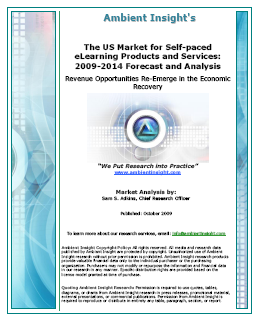 "The US eLearning market is rebounding from the slow growth during the recession," reports Chief Research Officer, Sam S. Adkins. "The demand for online education products is growing by 7.4% across all eight of the distance learning buyer segments, but much higher in specific segments. For example, the demand for online training is growing by 19.8% in the healthcare segment and the demand for online education products is growing by 17.3% in the PreK-12 academic segment. The online school providers are experiencing a boom in demand." This report forecasts e-Learning, distance learning, and online training expenditures by eight buyer segments: consumer; corporations; federal government; state and local government; PreK-12 academic; higher education; non-profits and associations; and healthcare. Please take a moment to inform yourself about Karl Kapp, professor, author and speakers in this two-part interview by The eLearning Coach, covers everything from video games to virtual 3D worlds, their cognitive advantages and future trends in online learning. Coach: How did you become an evangelist for learning through games, simulations and gadgets? Coach: What types of challenges do newer technologies, such as mobile and podcast, present to the instructional designer? Karl Kapp is a consultant, scholar, and expert on the convergence of learning, technology and business operations. His background teaching e-learning classes, knowledge of adult learning theory, and experience training CEOs and front line staff provides him with a unique perspective on organizational learning. His experience with technology companies and high-tech initiatives provides him with insights into the future of technology. He shares those insights and perspectives through writing, consulting and coaching with clients in the field of e-learning. Dr. Kapp understands how to promote effective e-learning within organizations. He received his Doctorate of Education in Instructional Design at the University of Pittsburgh in Pittsburgh, PA. Dr. Kapp is a full professor of Instructional Technology at Bloomsburg University. He teaches a unique class in which students are formed into "companies," write a business plan, receive an e-learning Request for Proposal (RFP), respond with a proposal, develop a working prototype, and present their solution to representatives from various corporations. Let's take a closer look at this recent presentation for the taskforce e-learning of Maastricht University. November, 3, 2009, Heerlen, The Netherlands. Specht, M. (2009). Context and Mobile Learning Support. The presentation gives an overview of current technology development and the relation of context research and mobile and ubiquitous learning support. Mobile Cell Phones: Key To Learning Of The Future? In today’s classroom, mobile phones are seen as a nuisance, but they can be the key to a new, personal way of learning, according to Prof. Marcus Specht of the Open Universiteit Nederland. Today’s learners -- of all age groups -- use their mobiles in nearly all their daily activities. Mobile media enable learners to access information and learning support whenever they need. “The students of the future will demand the learning support that is appropriate for their situation or context. Nothing more. Nothing less. And they want it at the moment the need arises. Not sooner. Not later. Mobiles will be a key technology to provide that learning support,” says Dr. Specht, who is professor for Advanced Learning Technologies of the Centre for Learning Sciences and Technologies (CELSTEC) at the Open Universiteit Nederland, continues ScienceDaily. More than 50% of the world population use a mobile phone today. In the Netherlands almost all children of 15 year old have a mobile phone. Digital natives (those who grow up with computers, internet and mobile devices) use mobile media as tools for informal learning and for everyday living. This influences the way they communicate, live and learn. The key question is what this use of mobile learning tools means for learning. In other words: how can we unleash the power of contextual effects with ubiquitous technology for learning. It calls for a rethinking of education with its classical educational settings. 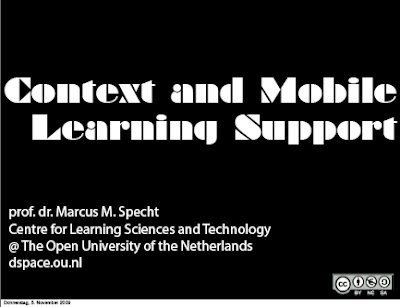 Prof. Marcus Specht is Professor for Advanced Learning Technologies at the Open Universiteit Nederland and is currently involved in several national and international research projects on competence based life long learning, personalized information support and contextualized learning. He received his Diploma in Psychology in 1995 and a Dissertation from the University of Trier in 1998 on adaptive information technology. From 1998 until 2001 he worked as senior researcher at the GMD research center on HCI and mobile information technology. From 2001 he headed the department Mobile Knowledge at the Fraunhofer Institute for Applied Information Technology (FIT). From 2005 he was Associated Professor at the Open Universiteit Nederland and working on competence based education, learning content engineering and management, and personalization for learning. In June he became professor for Advanced Learning Technologies. Currently he is working on mobile and contextualized learning technologies, learning network services, and social and immersive media for learning. Please check out this online book by the Faculty of Education, University of Wollongong, Australia. By Jan Herrington, Anthony Herrington, Jessica Mantei, Ian Olney and Brian Ferry (editors). 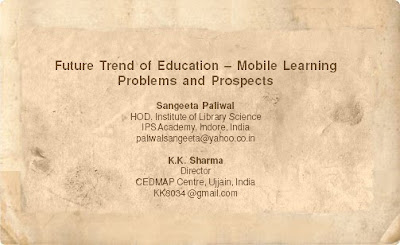 This e-book explore the use of mobile devices in learning in higher education, and to provide examples of good pedagogy. The rich variety of examples of mobile learning found in this book will provide the reader with the inspiration to teach their own subjects and courses in ways that employ mobile devices in authentic and creative ways. This book is made up of a collection of double blind peer-reviewed chapters written by participants in the project New technologies, new pedagogies: Using mobile technologies to develop new ways of teaching and learning. K12 is just beginning to realize the potential of mobile technology. 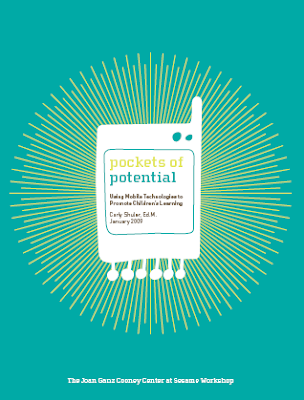 A 2009 study of 25 mobile learning initiatives worldwide by the Joan Ganz Conney Foundation Center chose them as having the greatest potential to revolutionize teaching and learning methods. But this technology has already arrived in some districts, whose leaders cite its ability not only to be more mobile than laptops, but more affordable, more reliable, and just as powerful. Recommended Book "Cases on Online and Blended Learning Technologies in Higher Education: Concepts and Practices"
Information Science Reference has a new book to be released in October 2009. Although online education is becoming an important long-term strategy for higher learning instructors, blended learning through a balanced mix of traditional face-to-face instructional activities with appropriately designed online learning experiences is expected to become an even more significant growth area in the future. 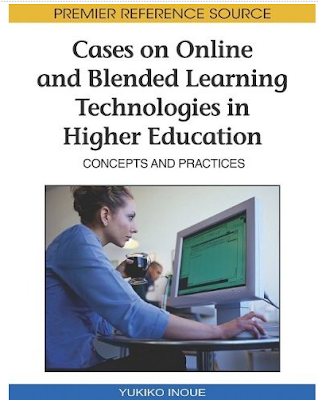 "Cases on Online and Blended Learning Technologies in Higher Education: Concepts and Practices" provides real-life examples and experiences of those involved in developing and implementing the merge of traditional education curriculum and online instruction. A significant resource for academicians, this advanced publication provides a wide range of the most current designs, methodologies, tools, and applications in blended course teaching. Publisher: Information Science Reference (15 Oct 2009. Yukiko Inoue, currently a professor and chair of the division of educational research and technology, has taught both regular and blended courses in the School of Education at the University of Guam. She received the University of Guam's faculty award for excellence in research (2000, 2006) and the faculty award for excellence in teaching (2008). She was selected as the 2008 Carnegie Foundation for the Advancement of Teaching Guam Professor of the Year. She earned her PhD in educational psychology and research from the University of Memphis (USA) and master degree in business administration from Tokyo Keizai University (Japan). Her research interests include: interdisciplinary studies on student learning and development; improving university teaching and learning with technology; online education for diverse learners; and the social context of learning with a higher education focus. She is the co-author of Teaching with Educational Technology: The Case of the Asia-Pacific Region and the editor of Technology and Diversity in Higher Education: New Challenges, and Online Education for Lifelong Learning. She is the editor of the Journal of Micronesian Educator a publication of the University of Guam.